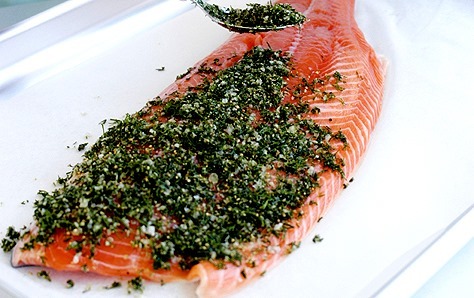 Gravlax is a Nordic dish consisting of raw salmon, cured in salt, sugar, and dill. 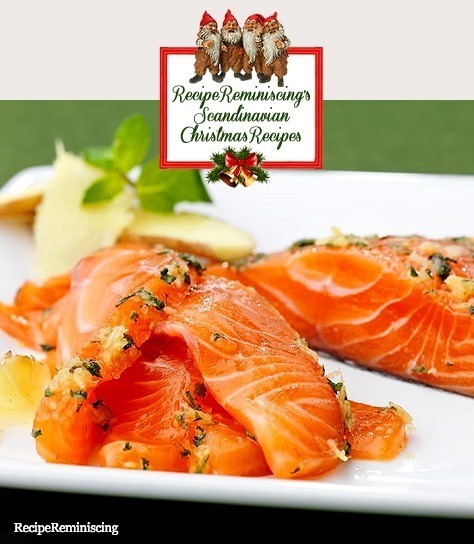 Gravlax is usually served as an appetizer, sliced thinly and accompanied by hovmästarsås (literally maitre d’s sauce, also known in Sweden as gravlaxsås and in Denmark as rævesovs, literally fox sauce), a dill and mustard sauce, either on bread, or with boiled potatoes. Gravlax literally means “buried salmon,” and that is how it was made in the hard old days. To store the abundance of summer for a long time without using much salt or other (at that time) expensive preservatives, the fish was wrapped in birch bark and buried in the ground, where a wet, cold environment and a lack of oxygen made it ferment but not rot. Made that way, it was more a culinary extreme sport than what we normally think of as “food”: Imagine an unpasteurized Camembert cheese in the form of a fish, made by desperate Vikings. It is not safe to eat fish that has been buried in the ground, although the slightly acidic birch bark would bring down the pH and thus present a certain barrier against spoilage. 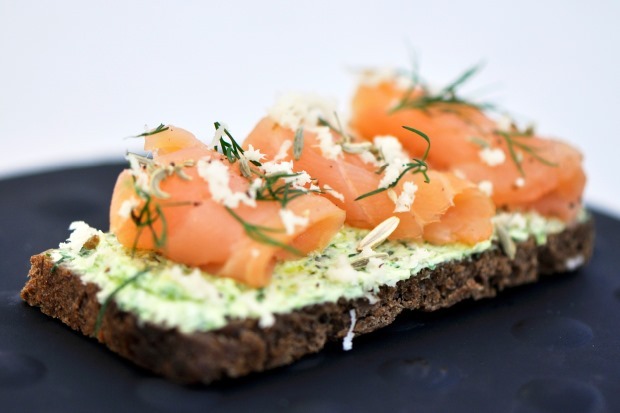 When a 15th-century Norwegian or Swede ate gravlax, considerable risk was involved; weighed against the certain dangers of starvation, it was worth it. The word gravlax comes from the Scandinavian word gräva/grave (“to dig”; modern sense “to cure (fish)”) which goes back to the Proto-Germanic *grabą, *grabō (“hole in the ground; ditch, trench; grave”) and the Indo-European root *ghrebh- “to dig, to scratch, to scrape”, and lax/laks, “salmon”. 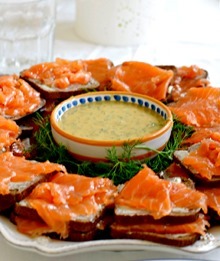 Gravlax is usually cured with sugar, salt and dill, but lemon juice, beetroot, aquvit or portwine can be added. The fish is often eaten on rye bread. Today fermentation is no longer used in the production process. Instead the salmon is “buried” in a dry marinade of salt, sugar, and dill, and cured for a few days. 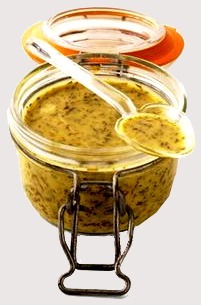 As the salmon cures, by the action of osmosis, the moisture turns the dry cure into a highly concentrated brine, which can be used in Scandinavian cooking as part of a sauce. This same method of curing can be employed for any fatty fish, but salmon is the most commonly used. We tend to think of food in terms of being either “raw” or “cooked.” As French anthropologist Claude Lévi-Strauss pointed out, those antonyms are two of our guiding concepts to help us distinguish between edible and non-edible, wild and cultured. Rakfisk and gravlax cannot easily be categorized in such a way.